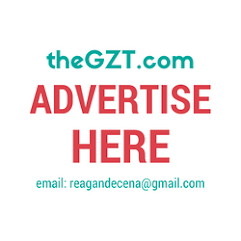 Helping To Keep You And Your Family Healthy | The GZT. Being a parent is no easy task. You’re juggling the responsibility of not only looking after your children but also remembering to look after yourself (and your partner, most likely) so that you can continue to look after your children. Of course, it’s hard to prioritize everybody in the family all at once, and this is especially true when it comes to the topic of health. There are so many things to think about at school, work, and home that the question of how well you’re looking after yourselves might often get pushed onto the back-burner. Here are some tips to help change that and guide your family towards a healthier way of living. Start with your diet. One of the biggest health threats to people is a bad diet, and it’s hard to avoid that in today’s culture of overly-processed foods containing questionable ingredients. The only thing we can do is learn how to be smarter about the options we choose for each meal. As a rule of thumb, you should eat more at the beginning of the day and less at the end of the day. A study showed that big breakfasts and smaller dinners helped people burn more calories than small breakfasts and bigger dinners. Half-carbohydrate and half-protein meals, split as evenly as possible, seem to be the key to a healthy diet that promotes weight loss. Of course, protecting the health of you and your family is about more than simply eating the right things and exercising. You need to think about protecting yourselves against injury and sickness; the things that can’t be prevented simply by looking after yourself. You might want to consider insurance companies for medical cover when it comes to keeping you and your family safe. Acting pre-emptively is always the smartest option when it comes to your health because minor and major problems or accidents are always impossible to foresee. All you can do is put the safety net in place to ensure that everyone in your family is well covered in the event of some health situation. The points in this article have referred extensively to matters of physical, but you shouldn’t neglect the importance of mental health in your family life. Everybody in your household will be stressed in different ways. Whether you’re working or staying at home, you’ll have project deadlines to meet or chores to do around the house, and you’ll have children to look after and pick up from school. In fact, your children will have stresses of their own. They’ll have homework to do, exams to worry about, and fellow friends or classmates to worry about. All of these factors can easily lead to you and your family struggling in terms of mental health. It’s important that you look out for signs in your family members, as well as yourself. If you feel that anybody’s slipping into depression or anxiety then it’s important that you provide them with the support they need, as well as, potentially, talking to a professional about options. Most importantly, you all simply need to learn to unwind and switch off your brain from reality to re-center itself from time to time.